Oh no, the ABC’s catastropharian agenda is out there, again. The research is from the University of Queensland. […] Dr Watson said that the total area of wilderness was decreasing despite efforts to increase protected areas, partly because of a focus on preventing species from going extinct while ignoring the value of wilderness. He pointed to wilderness areas such as the savannas of Northern Australia and the Great Western Woodland in Western Australia, which were both largely intact but “slowly eroding”. He said wilderness protection should include creating conservation corridors between large protected areas, and enabling Indigenous communities to be involved in conservation. “All nations need to start conserving their wilderness areas, and we’ve got to have a global agreement that these things are declining rapidly,” he said. Whether that amount of land damaged is correct or not, if rehabilitation practices were carried out by land users by the same method, it would be a big improvement. But as always, “if we don’t act now we’ll run out of time.” Where have I heard that before? Overall, not too badly written, but it does confirm my own agenda of planting, Savannah Enrichment, is the right one. The trees are planted to provide some monetary sustenance to indigenous custodians, along with companion species that aid pollination and pest control. Much of ‘the Wilderness’ has been cleared for the use of Palm Oil, which really was another original Green blunder, bio-fuels. Another of the biggest wastage of wilderness, is the amount of land already cleared and needed for a carbon free energy system. I prefer a high CO2 enrichment system. The funds wasted in ‘Taxing Air” have enabled a corrupt system, taking huge sums of money away from ‘looking after the environment’. 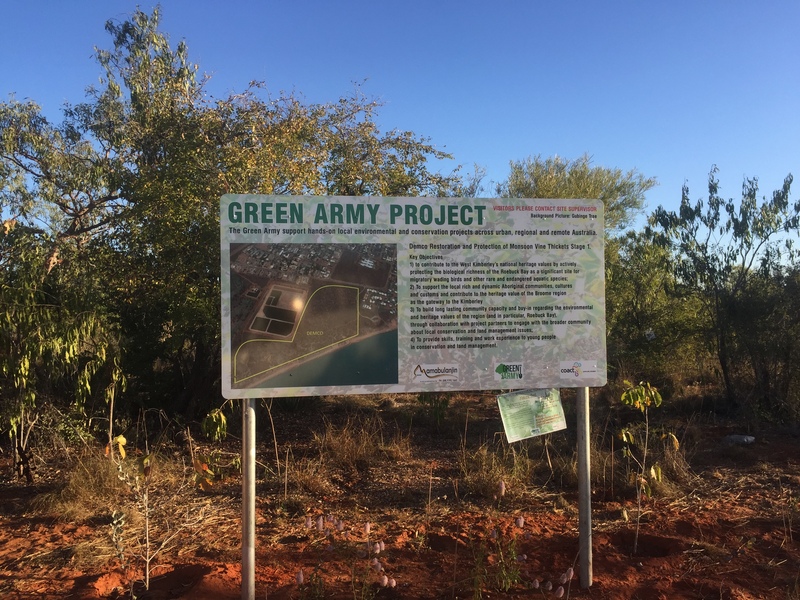 This entry was posted in Broome/Kimberley, energy, Environment, science, weather and tagged carbon emissions., coal power, environment, government, nature, politics. Bookmark the permalink.